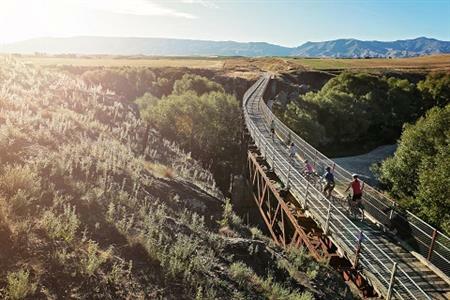 Experience the thrill of a four wheel drive expedition into the mountains; be awed by the viaducts as you cycle the Otago Central Rail Trail; enjoy the solitude of an alpine trek; imagine the back-breaking toil of early gold miners at a heritage site; try your hand at curling, an ancient ice sport; take a lake cruise; and evoke your sensibilities in the art galleries and museums. 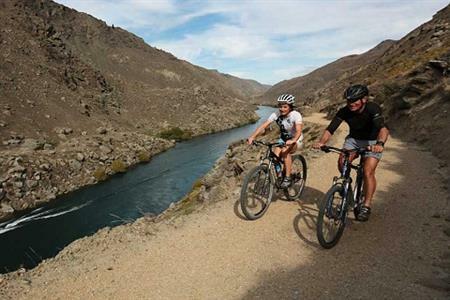 Whatever you choose to do when you travel to Central Otago - you'll have an unforgettable experience. 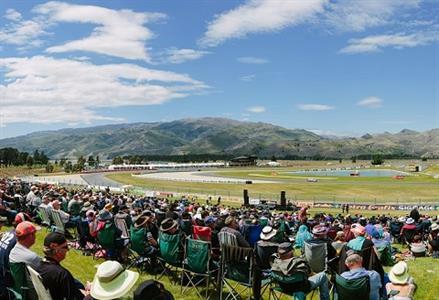 Central Otago has impressive mountain ranges, valleys, plains and seasonal weather, which provide opportunities for a wide range of land activities. 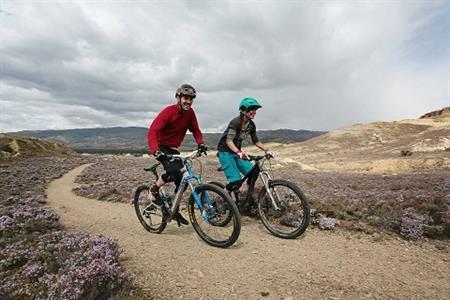 Cycling the Central Otago Rail Trail is achievable for most people with a reasonable level of fitness, but for those who want a more exhilarating experience, off-track mountain biking is a must. Businesses listed on this website who are approved users of the ‘Central Otago - A World of Difference’ brand are identified by the logo shown within their listing. Every one has agreed to support and enhance our regional values. They are proud to promote and invigorate our distinctive identity and stay true to the regional vision. 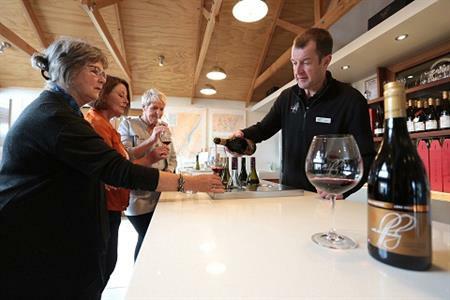 Qualmark is New Zealand tourism's official mark of quality. All accommodation and tourism businesses that carry the Qualmark, means they've been independently assessed as professional and trustworthy, so you can book and buy with confidence. Qualmark has a star grading system for accommodation and a quality endorsement system for other tourism businesses.